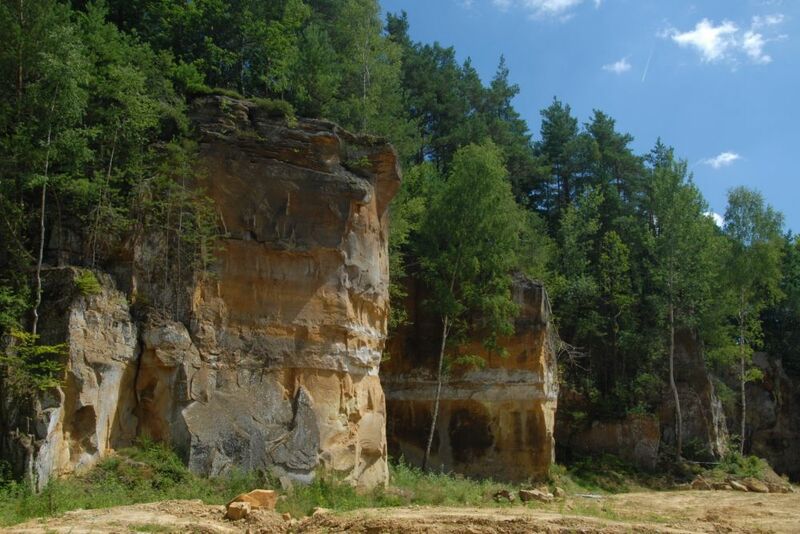 This tour takes you to geological highlights in the Nature and Geopark Mëllerdall. 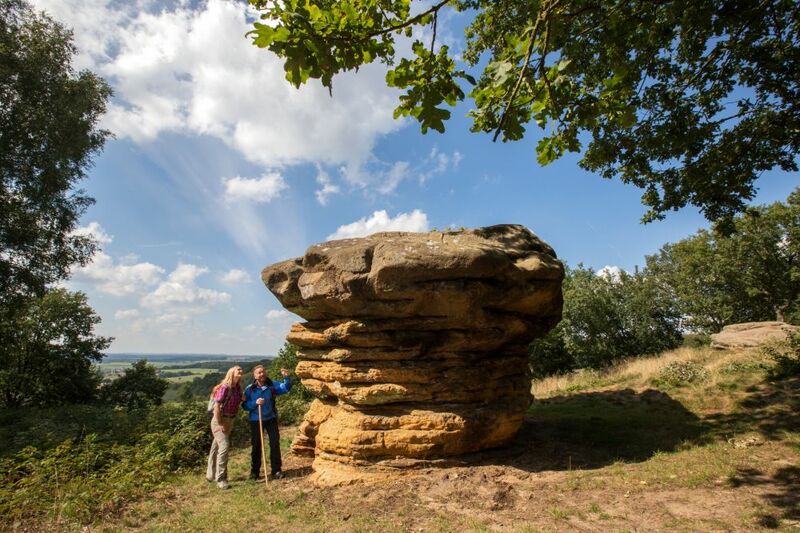 Explore rocks and crevices and learn about the creation of the fantastic landscape. We recommend to select a maximum of two out of the three suggested hikes (Steekaul Beefort, Noumerleeën, Kuelscheier). You start in Echternach and drive on the national road N10 to the west, alongside the Sûre via Bollendorf-Pont to Dillingen. In Dillingen you turn left and drive up the hill towards Beaufort. After 2.3 km, you park your car on the right side on a gravel parking lot. From here take the wide gravel path (the right of the two ones which are marked with "NaturWanderPark delux") and follow it for almost 300 m. Then turn sharp right and follow the sign "Mullerthal Trail ExtraTour" to "Steekaul / Steinbruch". You will walk to Steekaul Beefort, a former sandstone quarry and then back to your car (length of the walk: 2.6 km). The tour continues to Beaufort where you can visit the medieval castle and the Renaissance castle (on request). You drive via Eppeldorf to Ermsdorf and then further south via Medernach to Larochette. Larochette has another imposing castle offering the opportunity to visit. On the way from Larochette to Nommern, you turn right after 1 km and drive to the Champignon, a rock shaped like a big mushroom. A parking lot is located directly on the road, one kilometer past Camping "Auf Kengert", on the left side. There you follow the sign "Rocher Champignon" and reach the rock after about 200 m.
You drive through the village of Nommern and reach other spectacular rock formations. Park at Eurocamping Nommerlayen and follow the signs of Auto-Pédestre Nommern for a circular walk through the spectacular rocky landscape of the Noumerleeën (5.3 km long). You drive back to Nommern and then follow the signs to Angelsberg and then to Fischbach. In the "Aal Schmelz" iron ore was formerly melted. From Fischbach you continue to Heffingen. 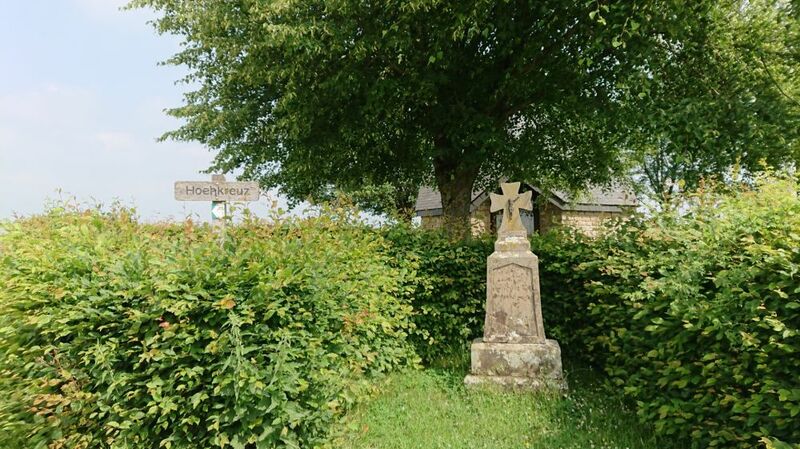 Opposite the church you follow the sign "Kapell am Héikräiz" and continue on the road "Stenkel" to the south. Outside of the village you find a nice possibility for a picnic with a view over the hilly landscape at the Héikräiz (High Cross). Go straight down to the village of Reuland, then continue via Blumenthal to Graulinster and from there towards Echternach on the E29 until you reach the rest area at Rippiger Kopp after 1.1 km. There you can enjoy the view over the hilly marl landscape in the south of the Mullerthal Region. Continue on the E29 and turn left towards before Altrier to Breidweiler / Kobenbour. When you reach the brook Black Ernz, keep right after the bridge over the river. After 300 m you leave your car on the parking lot on the right and walk to the romantic waterfall of Schiessentümpel, another geological highlight. 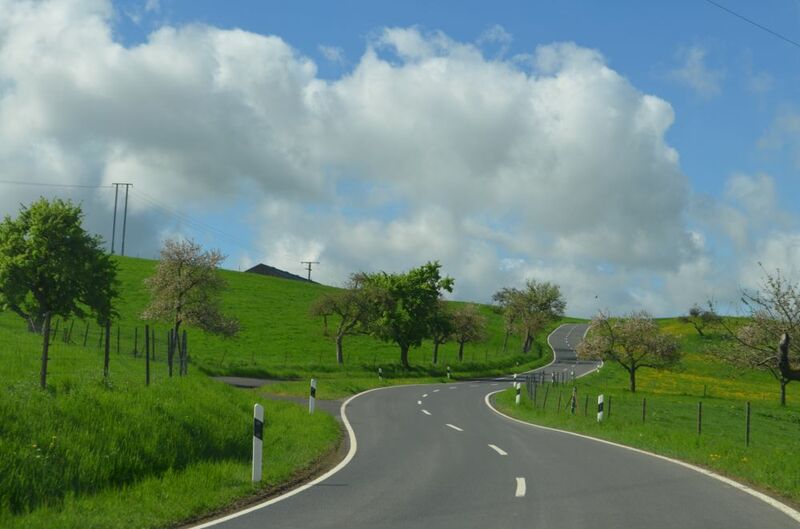 From Mullerthal you drive towards Consdorf and make a last stop at Konsdrefer Millen before reaching Consdorf. 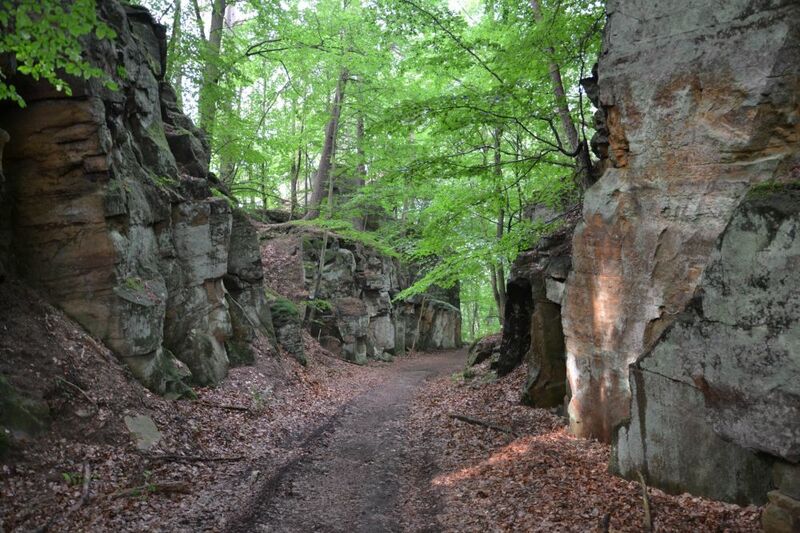 You park your car and cross the road to hike on the Mullerthal Trail (length of the walk: 2.8 km) to explore the fascinating Kuelscheier crevice. You drive back to Echternach via Consdorf and Scheidgen.